The security of the Internet of Things mainly involves protecting the security of the connected devices and networks in the IoT. This is a very crucial aspect and lots of stress is being laid on it. There are several factors, which make IoT security questionable. IoT does not have any inbuilt security and hence IoT security is vulnerable. As a result, there are new possibilities that hackers can attack them. Take the example of IoT baby monitors where hackers can attack live feeds, change the settings of the camera and even control the monitor. It is possible for the hackers to carry out a number of malicious activities by taking control of your devices which are connected to the internet. This can include your car, entertainment system and many other things. Just imagine the consequences that hacking of a medical device, which is connected with IoT, can have on the patient’s health. Currently there are no proper secure standards available using which the vendors can develop the products. However, active steps are being taken for having broad framework of security standards for IoT security but this will take some time. In most cases wireless networks are used by the IoT devices. Now the security of these wireless networks is again debatable issue. The poorly secured wireless connection can create problems for the security. What steps are being taken to improve this security? IoT is a trend which is fast catching up with people and is here to stay. Therefore, we cannot ignore the security of internet of things. Here are some simple measures that can be taken to improve the security. It is important that you reset the default passwords without fail. If you don’t do this you are exposing your device to an easy attack by hackers. After resetting the factory settings, it is important that you power cycle your devices that is you need to disconnect the device from the power source and then reconnect it again. The Universal Plug n Play (UPnP) support opens the virtual ports. This makes your device susceptible to infection. Therefore, make sure that you disable the UPnP support. Make sure that you check for firmware updates and update the device at regular intervals so that it has the latest updates from the manufacturer. 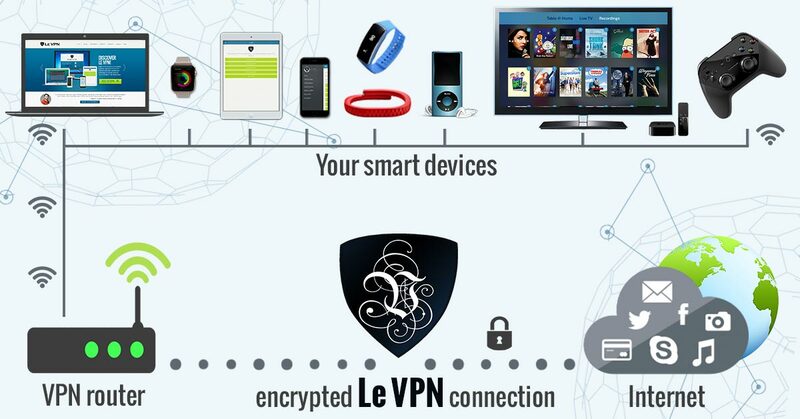 Also, if you are going to make use of virtual private networks and use a VPN enabled router for IoT, then make sure that you use only trusted networks like Le VPN, which is completely secure. IoT is the way things are going to move. So as you move with the tide make sure you take appropriate steps for its security.